As it happened, I eventually did a bit of work for the SAH, updating their Falkland Islands coverage at a time when they were considering dropping it entirely, and later updating some parts of their Argentina coverage. 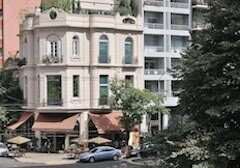 By the early 1990s, though, I had a full-time freelancing gig in the Southern Cone countries with a publisher whose name is best left unmentioned and, gradually, my standards evolved to encompass more formal and (occasionally) luxurious options. That said, even though I now travel in my own car instead of hitchhiking or taking chicken buses, ideologically speaking I’m still a backpacker. 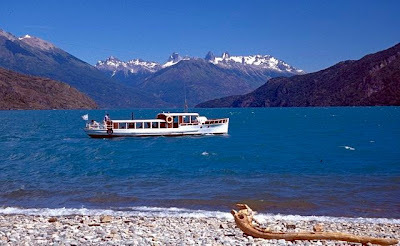 Thus, when I saw the cover of the latest issue of Condé Nast Traveler, proclaiming an article on “Argentina, The Real Patagonia,” I was skeptical that I’d read yet another article on a five-star Bariloche hotel, yet I was pleasantly surprised. 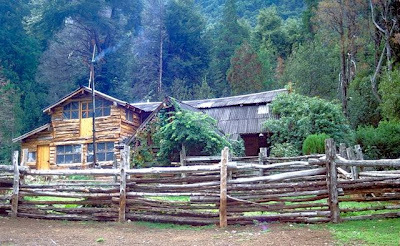 Rather, it was an article about refugios, rustic shelters on backcountry trails in the mountains surrounding the counter-culture town of El Bolsón (pictured at top), about 120 km south of Bariloche. Instead of all-inclusive resorts for US$1,500 per night, author Christopher Bagley stayed in casual places like the Refugio Cajón del Azul (pictured above), where it costs just US$5 to camp or US$15 to spread your sleeping bag on a mattress on the floor (unfortunately, the piece is not up on CNT’s website yet). 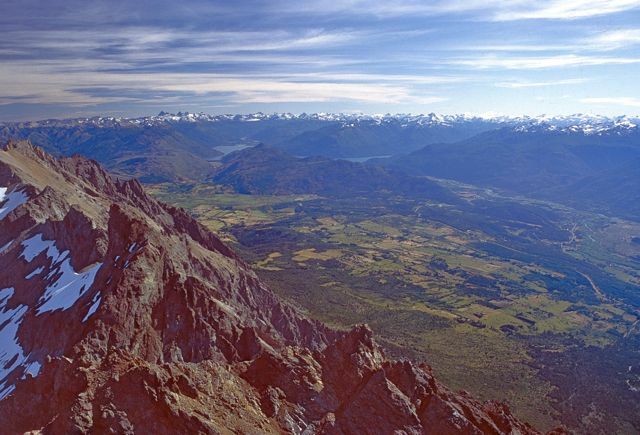 While I’ve never spent the night at Cajón del Azul or any other refugio in the vicinity, I’ve done quite a few day hikes, such as Cerro Piltriquitrón (pictured above), with its exceptional panoramas of El Bolsón and Lago Puelo (pictured below) toward the snow-capped Chilean border. Certainly they’re worth a feature article, but I still find it remarkable that the author would even pitch the piece to Condé Nast, let alone get a positive response – a magazine like Outside would have seemed a likelier choice. All that said, I applaud Condé Nast for the fact that, despite their moneyed demographic, they chose to commission and publish a piece suitable for a broader audience. 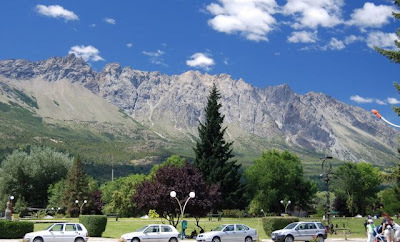 I also look forward to returning to the area this summer, in the course of updating the current edition of Moon Patagonia. I wrote an article on the mentioned region on my site. 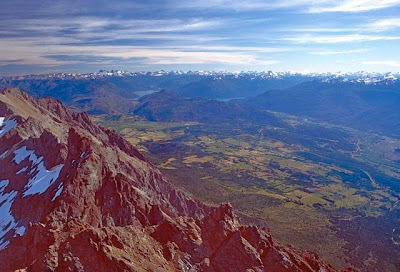 An autumn hike from Bariloche to El Bolson. Beautiful! Spectacular photographs, Steve, I look forward to returning this summer. Please forgive for nit-picking, but please your spell-checker (I appreciate English is not your first language, though). A Coastal Road Trip, From Canada to Chile? 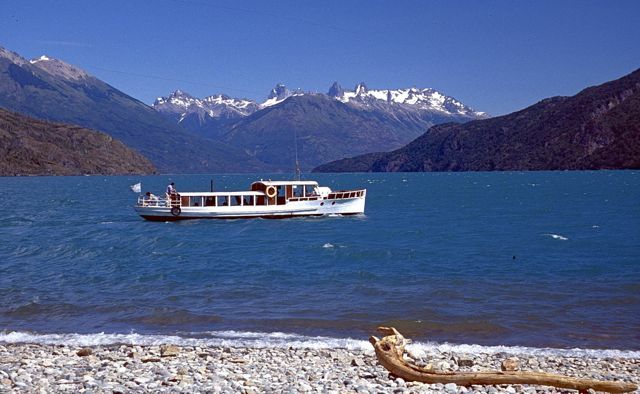 An Austral Summer in Chile? Win This Book! Cruising for Apps - in Central America?